This New Year’s Eve Pukka Up, will set sail on the River Thames for possibly its most glamorous party of the year., where house music lovers can embark on this celebratory voyage with a bubbly reception and a guaranteed view of London’s iconic fireworks. The party sets sail from North Greenwich Pier at 8:30pm where 600 revellers will cruise through the heart of London on two of the Thames’ largest boats. Clubbers will be met with a glass of bubbly on arrival and uplifting house music to set the tone for the night to come. 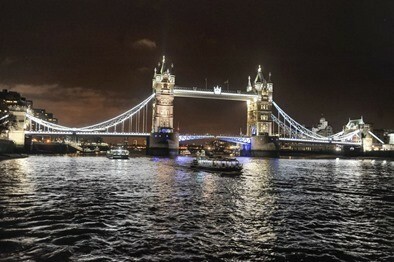 Taking in the sights of London, the Dutch Master and Hurlingham will sail up to Westminster to watch the fireworks in a prime location before sailing back to North Greenwich pier at 1:30am where ticket holders will receive complimentary entry to an after party to dance the night away. Details of this event will be announced in the coming weeks. Those wanting to party in style can opt for a limited VIP ticket that includes a VIP table and a bottle of Cava. Bottles of Cava will be on sale at £20 to all ticket holders to toast in the New Year when Big Ben strikes midnight. With London Mayor, Boris Johnson, limiting the viewing area for this year’s fireworks display to 100,000 spectators, and having introduced tickets that have already sold out, Pukka Up’s event is probably one of very few ways left to get close to the action.